Grinders, scarifiers, shot blasters and scabblers – these tools help contractors with the preparation of concrete surfaces. Whether it’s a repair job or decorative work, each of these machines have specific strengths for performing a number of jobs effectively. This article gives an overview of their capabilities, coverage rates, power options and benefits. Grinders use cutting discs that rotate (rather than impact) to remove material at a depth of about 1/8 inch. They can be powered by electric, gasoline and propane and are versatile enough to be used in wet or dry conditions. Grinders use multiple types of tooling, pads or discs to perform a variety of tasks, made from silicon-carbide-impregnated grinding stones, tungsten-carbide inserts or diamond-segmented grinding tools (attachments for removing thicker coatings and mastics are also available). 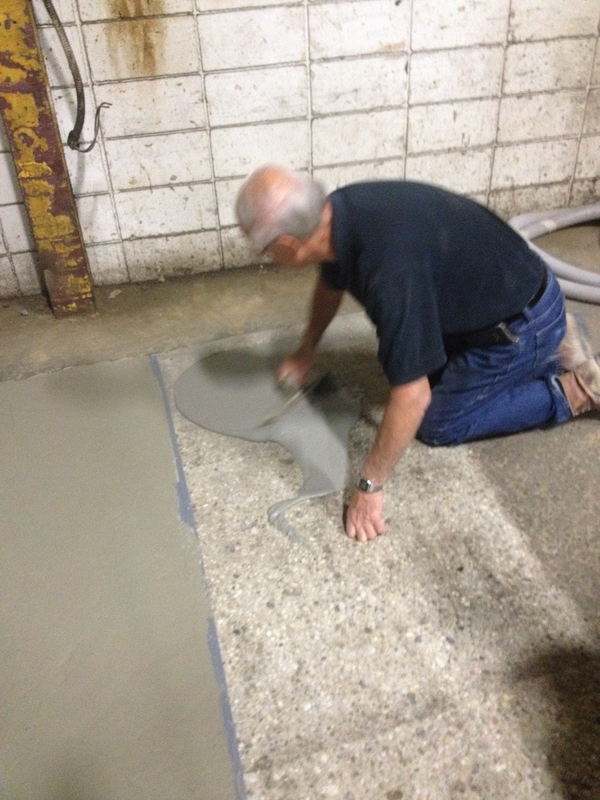 Grinders typically leave behind a smoother profile than scarifying or shotblasting because they polish hard, dense concrete rather than abrading the surface. Grinders are available as walk-behind models good for floor and slab surfaces that range in size from single-, dual- and four-disc machines ideal for smaller jobs, to heavy-duty planetary machines ideal for high-production grinding of large slabs. Single-disc grinders have a working width of 10 to 12 inches, whereas dual-disc units cover 20 or more inches in one pass using counter-rotating discs to provide balanced torque so the grinder won’t pull from side to side. Planetary units range in coverage of 11 to 36 inches, with individual speed and direction control of the planetary head/s and satellite discs, optimizing any grinding application. Disc rotation speeds range from about 250 to over 3,000 rpm, with floating heads that follow the contour of the floor, adjustable rear wheels that keep grinding discs level and vacuum ports which allow for dust-free, dry grinding. Grinders are also available as hand-held models, good for working in tight areas where larger units can’t maneuver, such as in corners and close to walls. Grinding diameters for hand grinders range from 5 to 12 inches and can also be used to remove bumps, form marks, and graffiti from vertical surfaces or to grind concrete countertops. Grinders come with a selection of grinding accessories and can be hooked up to an industrial vacuum for dust control. Not to mention, they are very adaptable for decorative work, as well as surface prep – profiling floors before application of thin coatings or paints because they won’t create ridges in the surface, as can scarifiers. 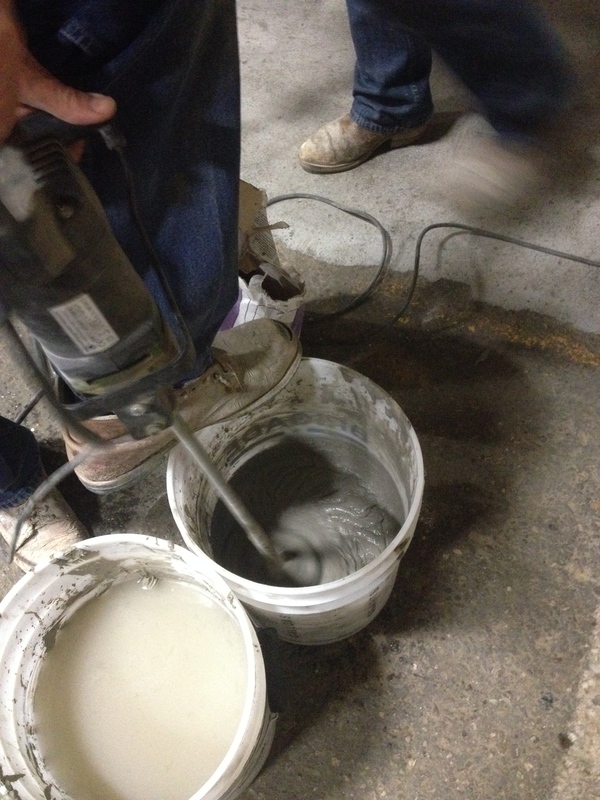 Grinders are most effective at removing thin coatings and paints or for cleaning and lightly abrading floor surfaces. 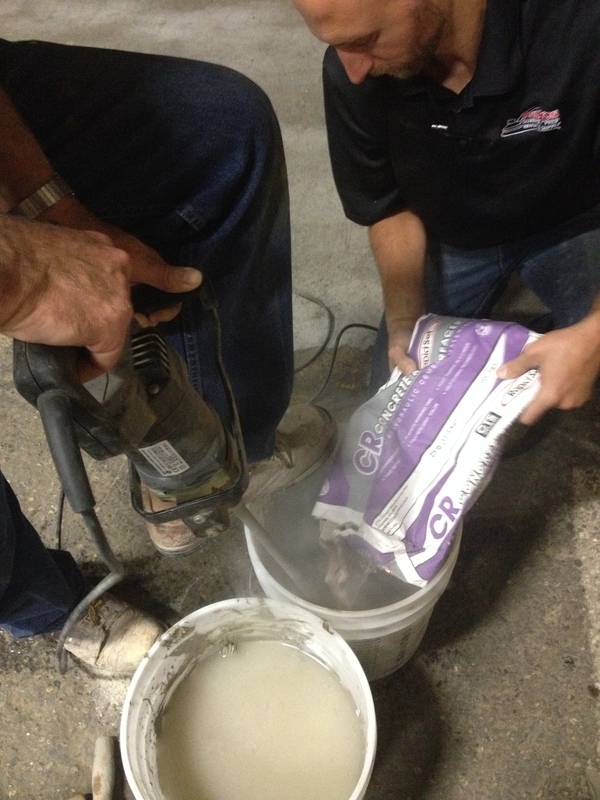 They also break up deposits of grease, dirt and industrial contaminants, level uneven joints or high spots and polish concrete surfaces with finer-grit abrasives. Scarifiers, also refered to as surface planers or milling machines, remove concrete faster and more aggressively than grinders. Scarifiers can be powered by electric, gasoline and propane. They use the pummeling action of multi-tipped, interchangeable cutting wheels called flails that rotate at high speeds to chip away at the concrete surface. Cutters are made of tungsten carbide or hardened steel. Tungsten carbide cutters are more aggressive and longer lasting, making them practical for jobs requiring high production rates or scarifying of high-psi concrete, whereas steel cutters are less expensive and have a shorter life. Either type of cutter is available in different diameters, widths, number of cutting teeth and grades. Tip styles include blunt or flat for aggressive removal, sharp for gentler scarifying action or angled for scraping. Scarifiers are available as small hand-held units with 2- to 3-inch cutting widths. They are also available as manual push or self-propelled walk-behind machines with working paths of 4 to 16 inches. Production rates range from 350 to 1,500 square feet per hour. Cutting depths are adjustable on most machines, with some models achieving up to 1/4 inch of material removal in one pass. Some models have self-leveling scarifying heads that automatically adjust to contours in the floor. Vacuum attachments collect dust and debris. In addition, scarifiers have cutting wheels mounted to shafts of a removable drum; quick-change drums allow for easy switch or replacement. 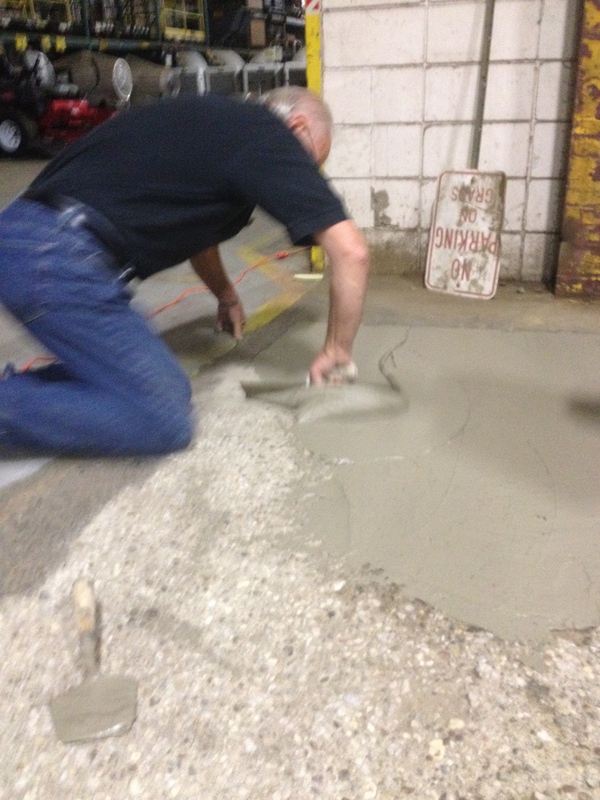 They leave behind a rough finish and may create ridges in the concrete. 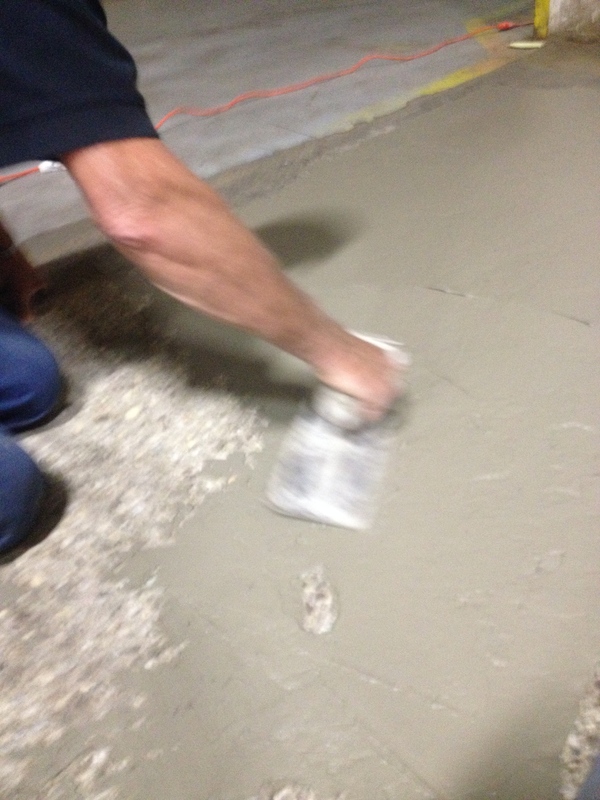 However, they can remove heavy floor tile mastics, rubbery elastomeric and epoxy materials, as well as perform light or heavy milling. Scarifiers can also groove walkways to make them slip resistant, remove trip hazards in sidewalks, level misaligned concrete joints and uneven surfaces and can achieve different finishes by adjusting the spacing and pattern of the cutter assemblies; the closer the cutters are spaced, the smoother the finish. Shot blasters use a one-step preparation method for stripping, cleaning and profiling surfaces for coatings and overlays. Shot blasters produce a roughened texture that improves adhesion of decorative toppings, as well as leave surfaces dry and immediately ready for recoating or resurfacing. Shot blasters can be powered by electric, diesel and gasoline. Shot blasters use high velocity centrifugal force of a wheel with paddle-type blades to propel steel shot at the surface, fracturing off the surface layer of the concrete as well as any dirt, coatings, paint or other contaminants. Shot blasters also use an enclosed blast chamber that separates dust and debris from the spent steel shot, and recovers the reusable abrasive for recirculation. Shot blasters remove materials at a depth determined by the size and concentration of the shot, the rate of machine travel, shot impact force and condition of the surface. Shot blasters are available as manual or self-propelled walk-behind units, with blasting paths range from 4 to 32 inches. Removal rates range from about 200 to over 3,000 square feet per hour. Smaller steel shot provides better coverage and higher production rates and smaller models are good for working in tight areas, around equipment and obstructions, next to walls or residential garage floors and balconies for decorative coatings. Shot blasters are used for surface preparation such as very light etching to more aggressive removal of surface mortar down to coarse aggregate. 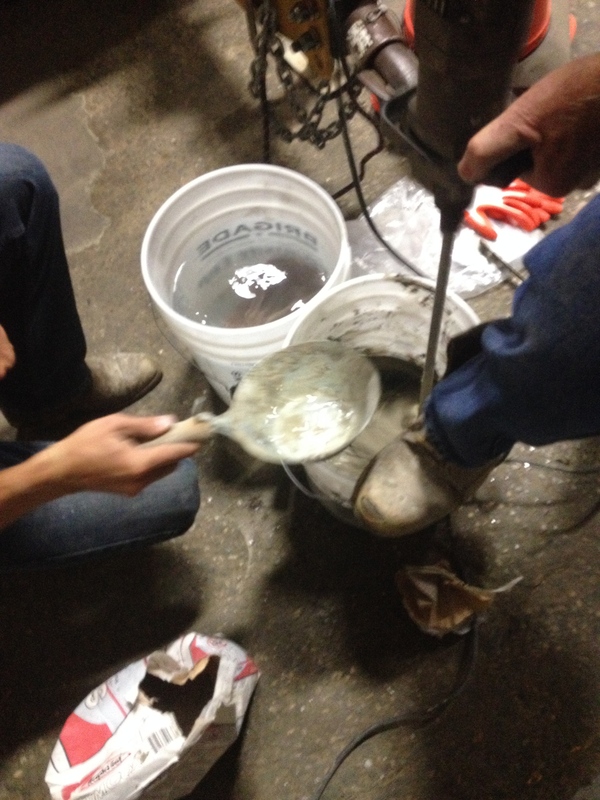 They provide a cost-effective way to remove dirt, grime and chemical contaminants from large areas and for prepping substrates for self-leveling or polymer overlays, epoxy toppings and most coatings. Shot blasters produce very little airborne dust or debris, good for work areas such as food preparation facilities or manufacturing plants. Shot blasters are affected by the hardness of the concrete or existing coating with regard to production rate and the depth of material removal. However, you’ll need multiple passes to remove thick coatings, rubbery mastics or heavy elastomeric coatings and are less effective than a scarifier. Shot blasters can leave “cornrows” where successive passes overlap, which can stay visible under a clear surface coating. Scabblers are designed to roughen concrete surfaces more effectively than a grinder or scarifier. They use compressed air to hammer piston-mounted tungsten carbide bits into the concrete surface, up to 1,200 hits per minute. Scabblers have tungsten carbide bits that can last about 50 hours, and can be powered by air, electric and gas. Scabblers require vacuum ports for dust-free operation, as well as an automatic in-line lubricator or oiler for low piston maintenance. 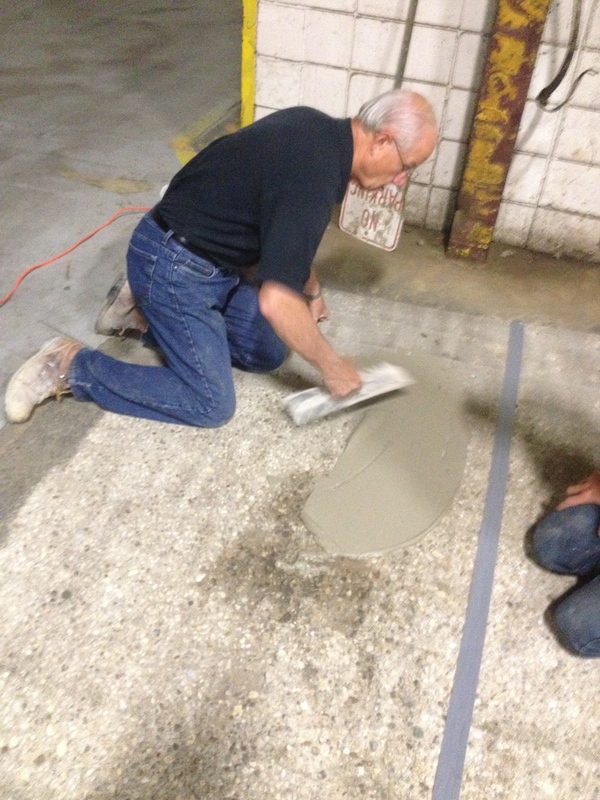 Scabblers remove up to a 1/4 inch of concrete in a single pass, depending on the strength of the concrete. Typically it takes several passes to achieve a desired depth, but scabblers remove up to 200 square feet per hour at Depth Per Pass of 3/16”. Scabblers scabble down high spots in concrete, create excellent surface texture for bonding overlays and level uneven joints. Scabblers are also effective in creating wheelchair access ramps, repairing sidewalk trip hazards, creating slip resistant surfaces, removing delaminated, spalled or deteriorated concrete and breaking up ceramic tile. 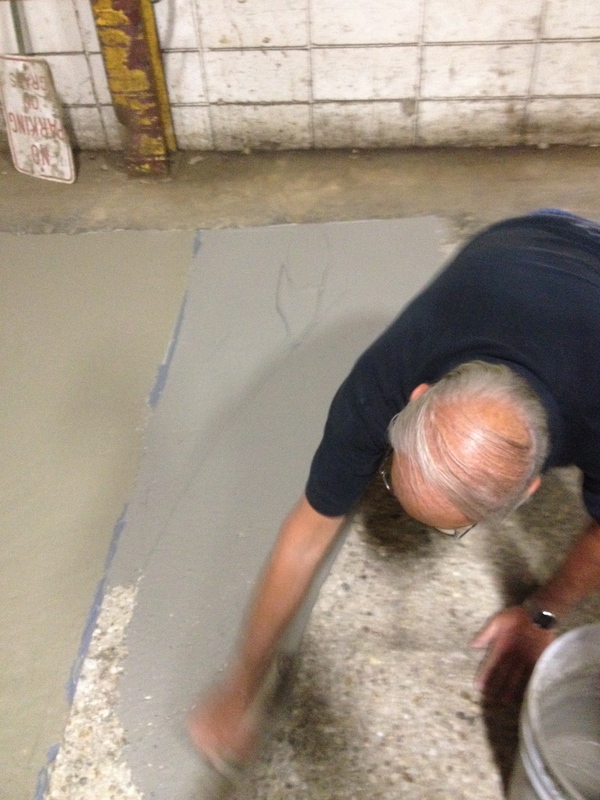 Priming concrete is the all-important step number three of a concrete painting job – right behind cleaning thoroughly to remove dirt and efflorescence (the white powder often found on damp concrete) and applying a sealer to inhibit moisture damage, and just before the final step of painting. Primers are formulated in three ways: alkyd/oil base, acrylic/latex and tinted shellac, and are specialized for both exterior and interior applications. If you are working on a tight budget and have a variety of surfaces that need to be primed, a universal primer is formulated to work on almost any surface. 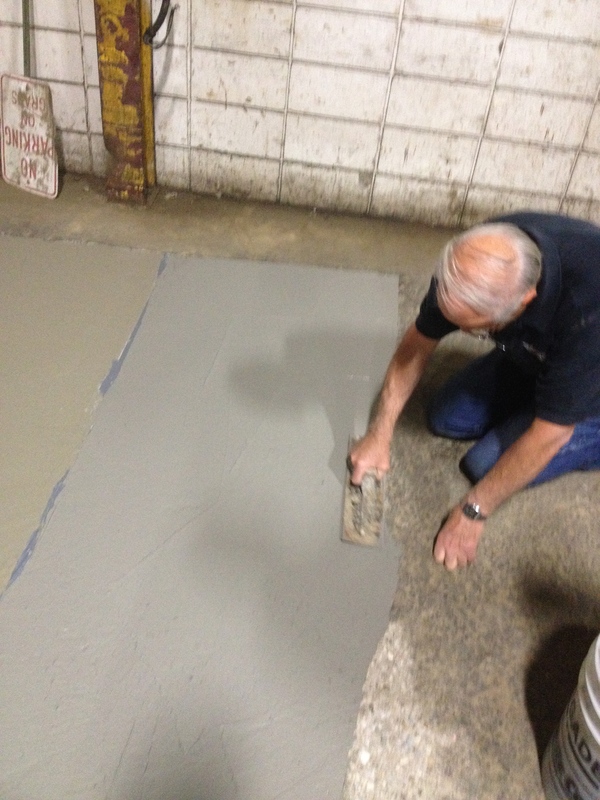 Nowadays though, contractors want to ensure a successful concrete painting job with primer made specifically for concrete. For example, the type of primer specified for use with LevelFlor® Rapid Set, a cement-based, self-leveling underlayment (SLU) that can be used both indoors and out, is Rapid Set® Acrylic Primer or Rapid Set TRU Epoxy Primer (TXP). These products are specially formulated to seal the LevelFlor layer, reducing the number of pinholes or bubbles caused by trapped air that can mitigate the surface, reducing water loss and increasing topcoat adhesion. Acrylic/Latex: Because concrete is porous, a water-based or acrylic primer is more likely to soak into the concrete than an oil-based primer, bonding to the substrate and allowing the paint to grip the surface. These primers will also reduce the dust on interior concrete. Polyurethane/Epoxy: A type of acrylic/latex primer, these products are not only incredibly strong and heavy-duty, they can be made to resist chemical attack and other nasty work environments in commercial or industrial work areas. 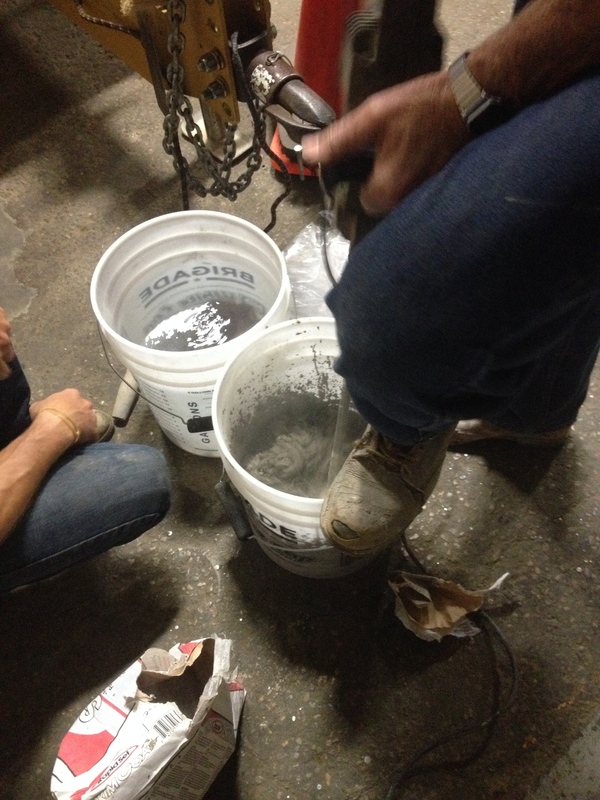 Acrylic Masonry: Specifically designed to protect against lime burn, discoloration and efflorescence, masonry primers are used on properly cured, unpainted or new concrete. These are great for outdoor applications, too. Acrylic Block Fill: If you’re working with cinder blocks, this primer is specially formulated for new or unpainted, smooth or split face concrete blocks.